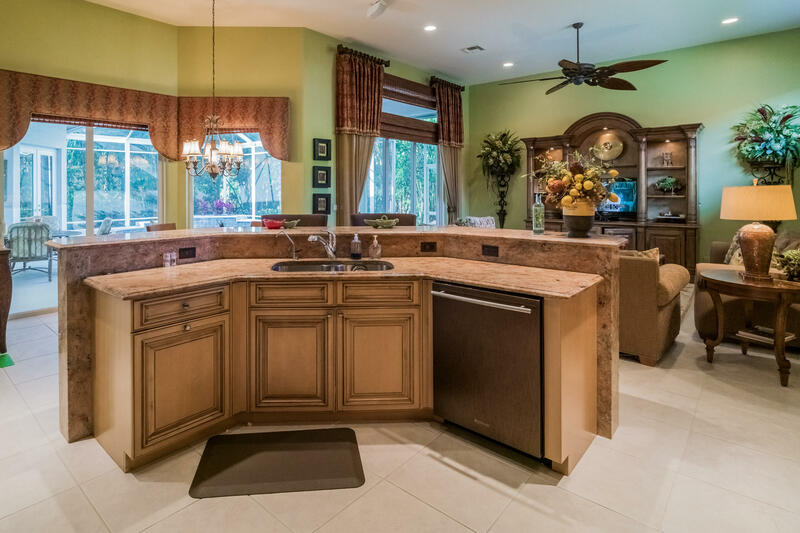 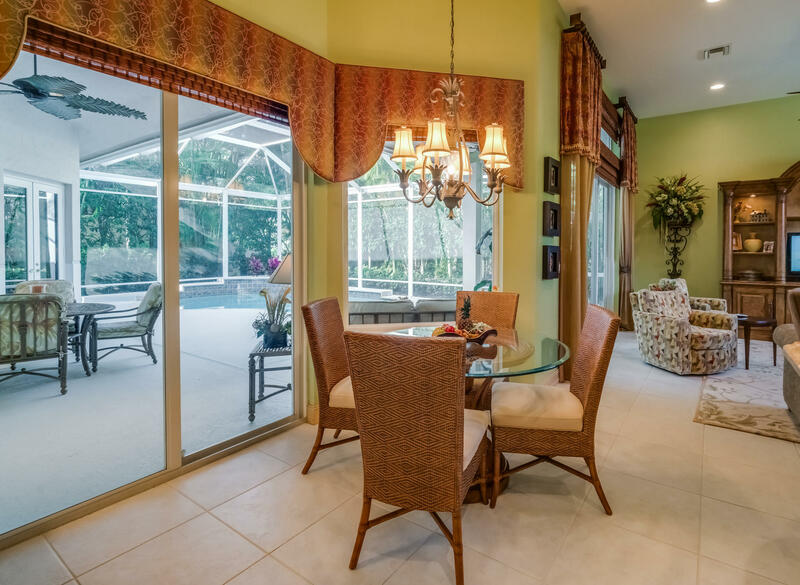 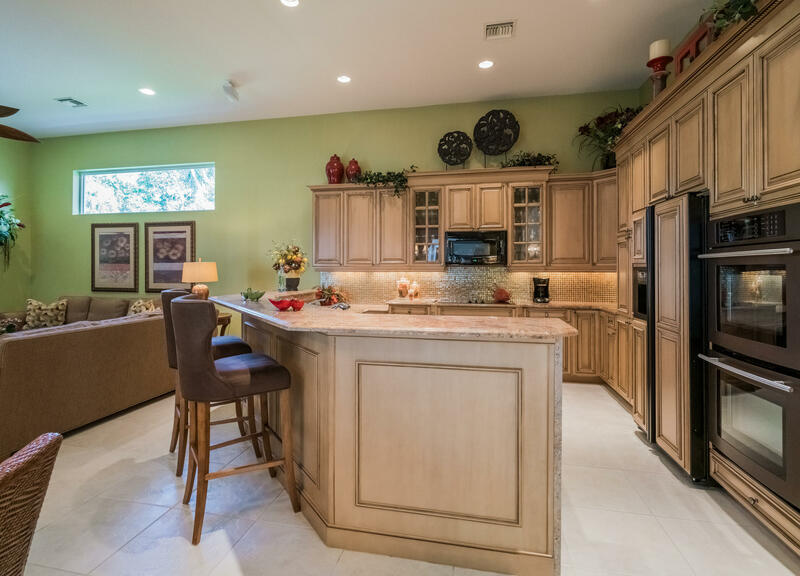 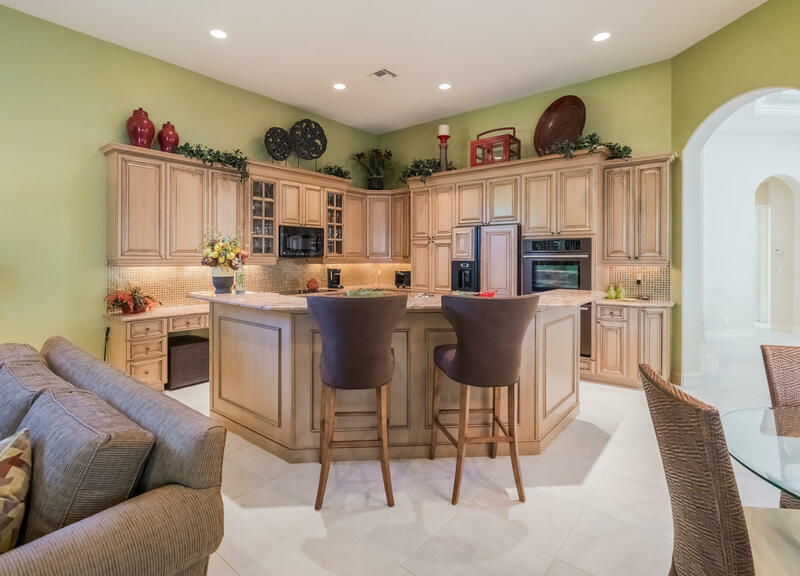 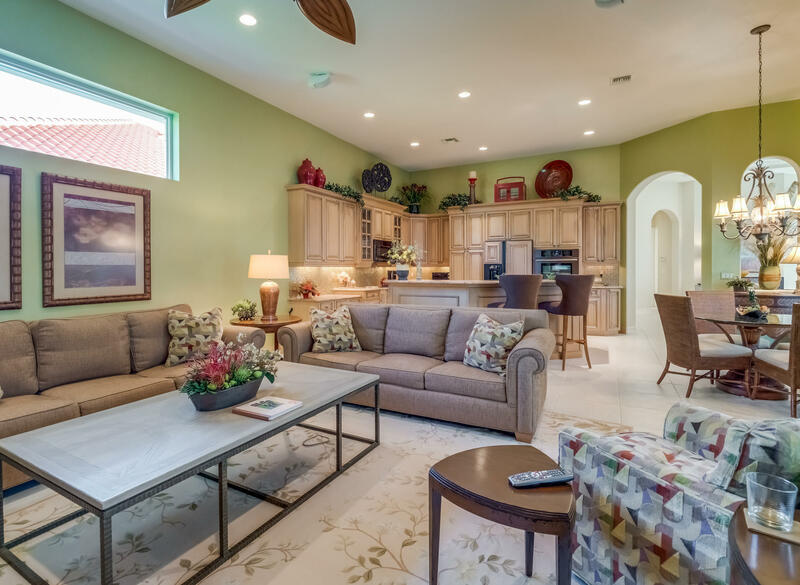 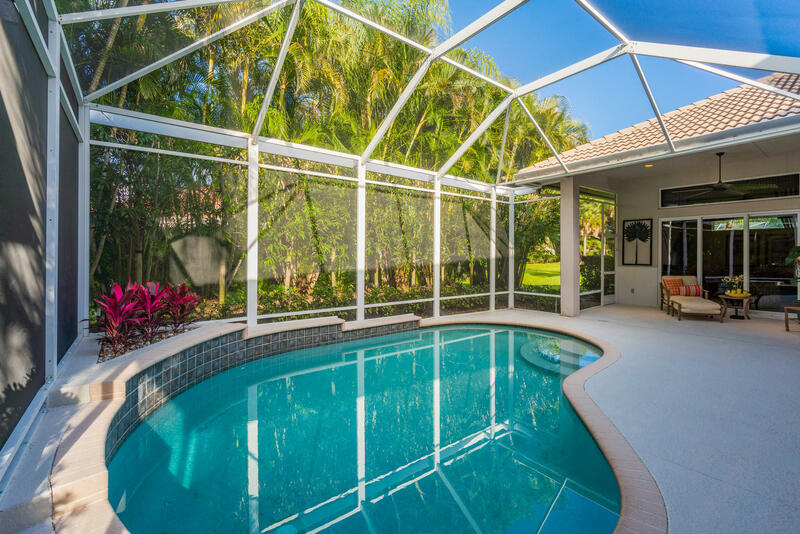 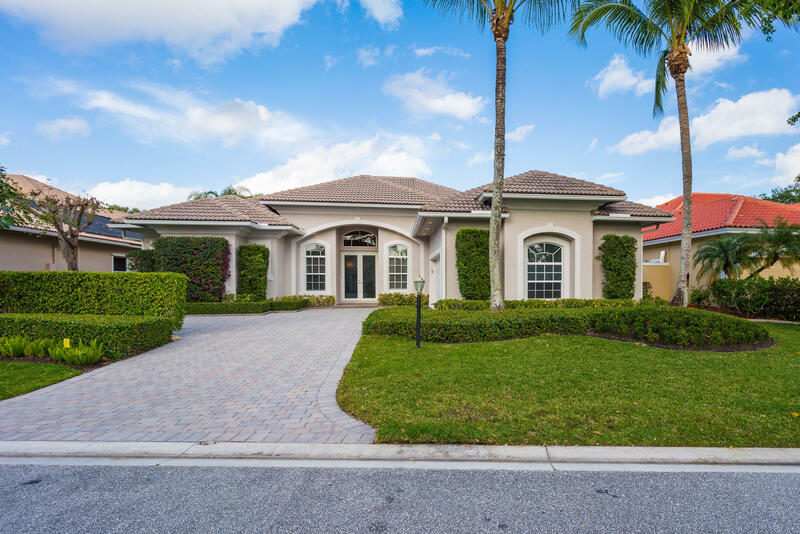 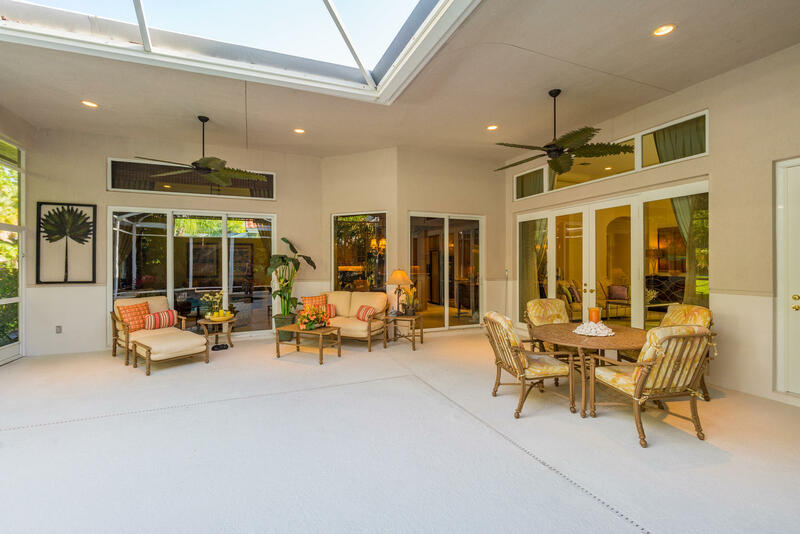 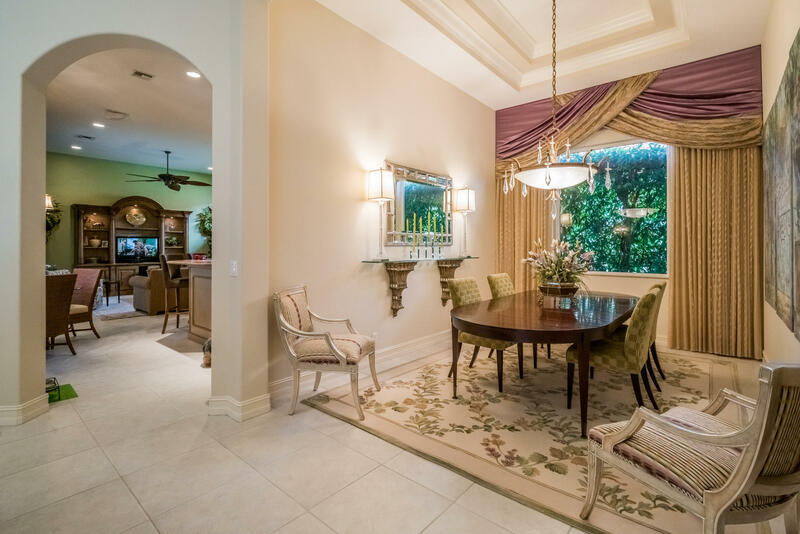 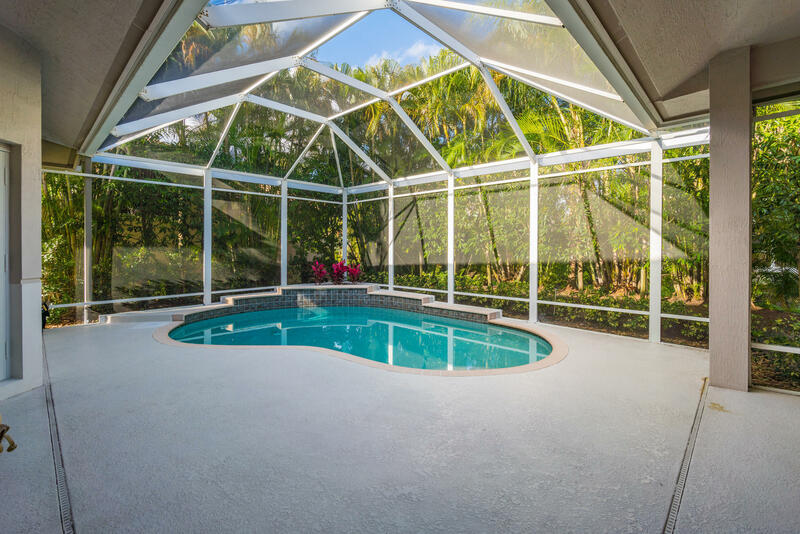 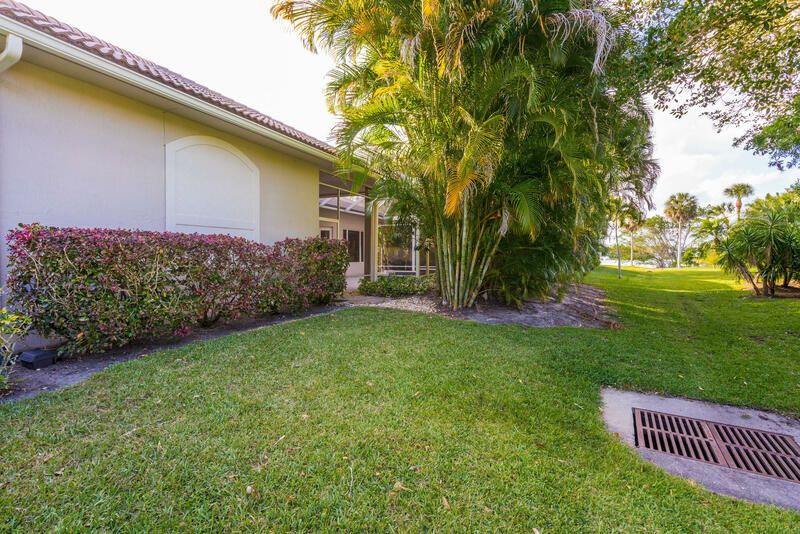 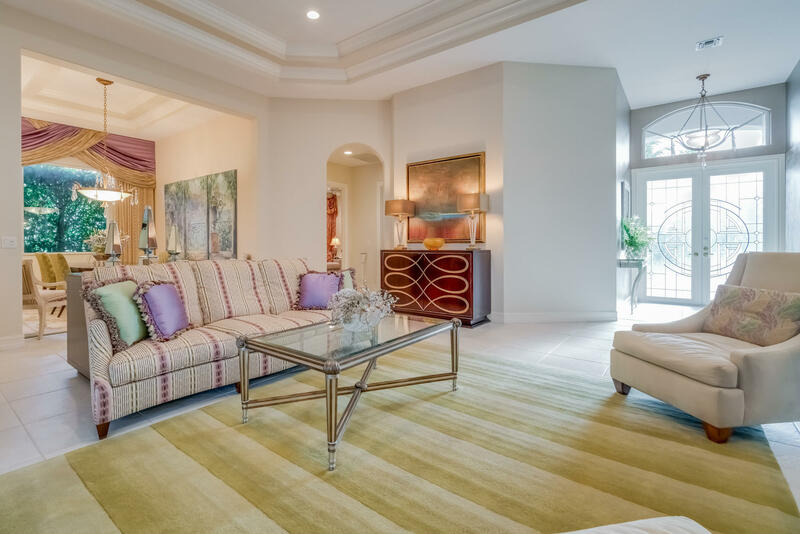 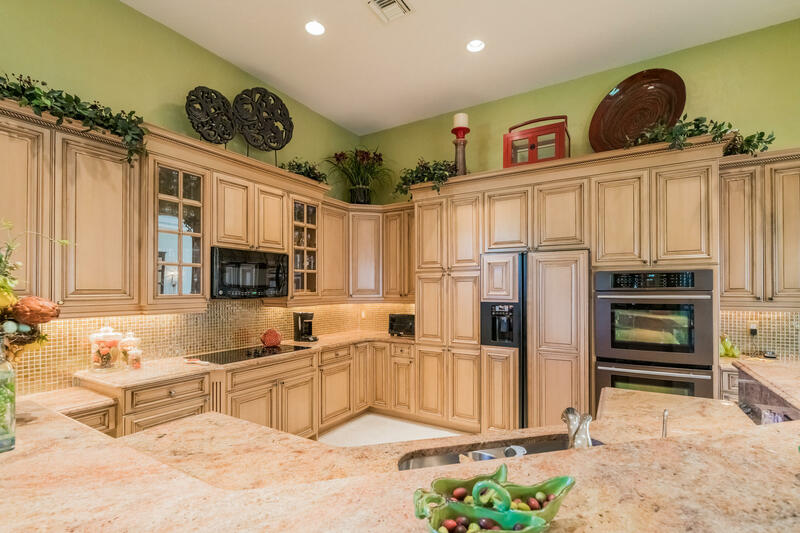 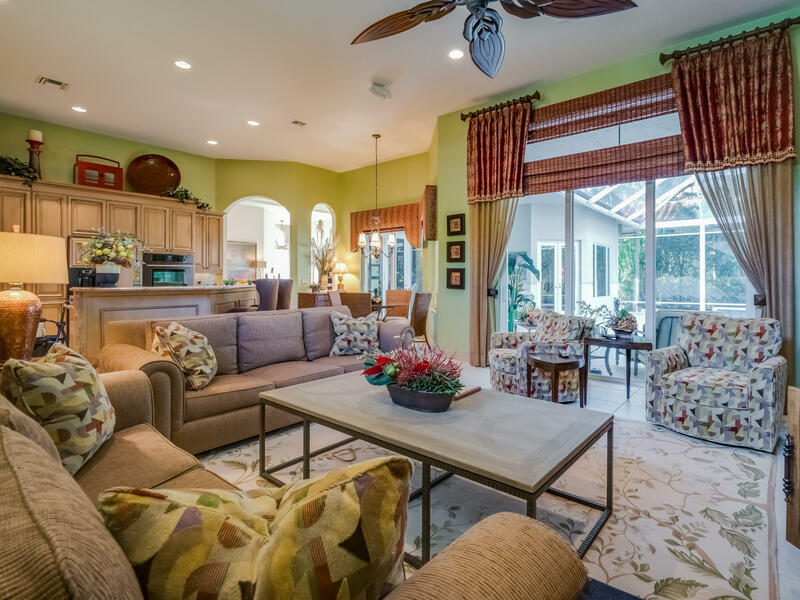 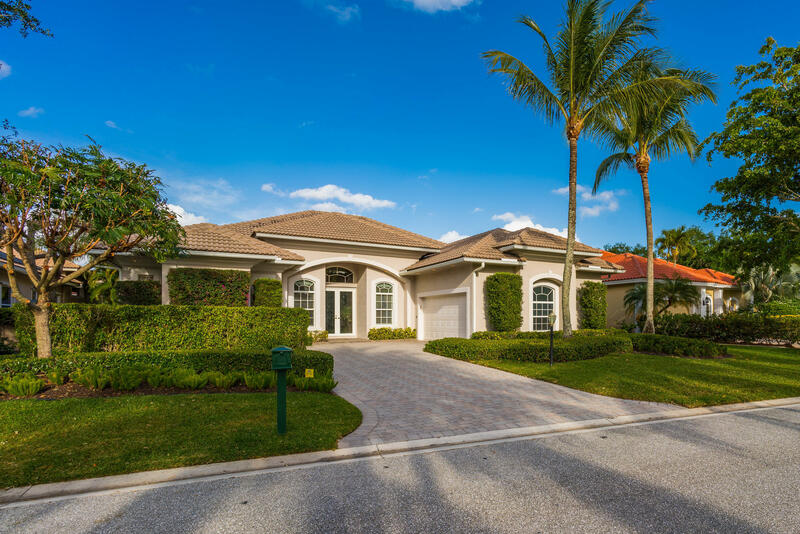 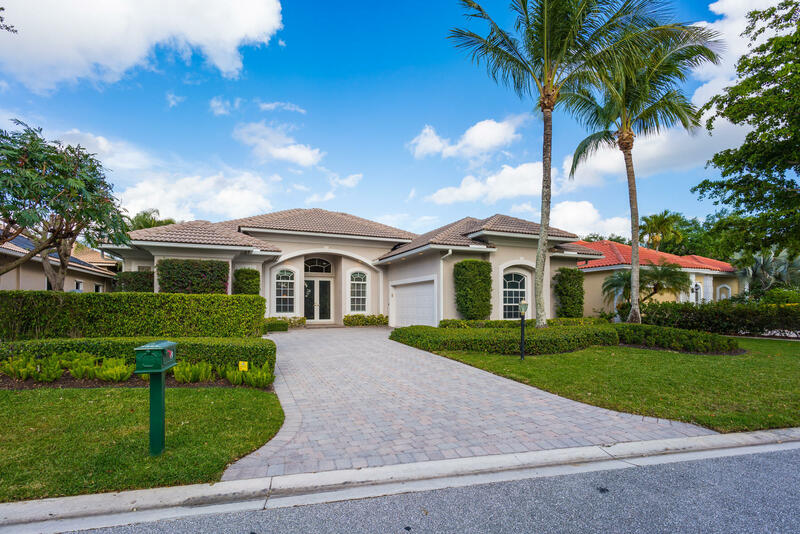 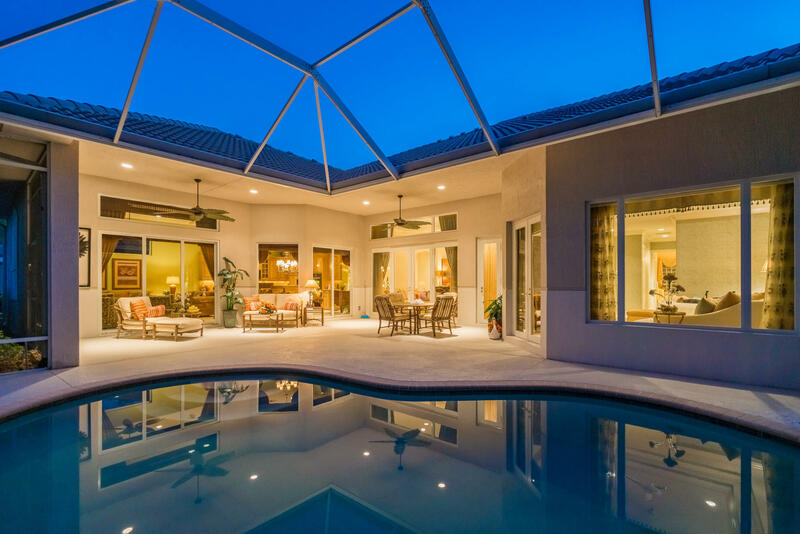 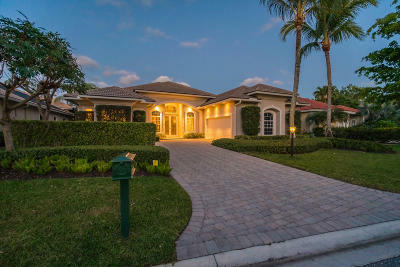 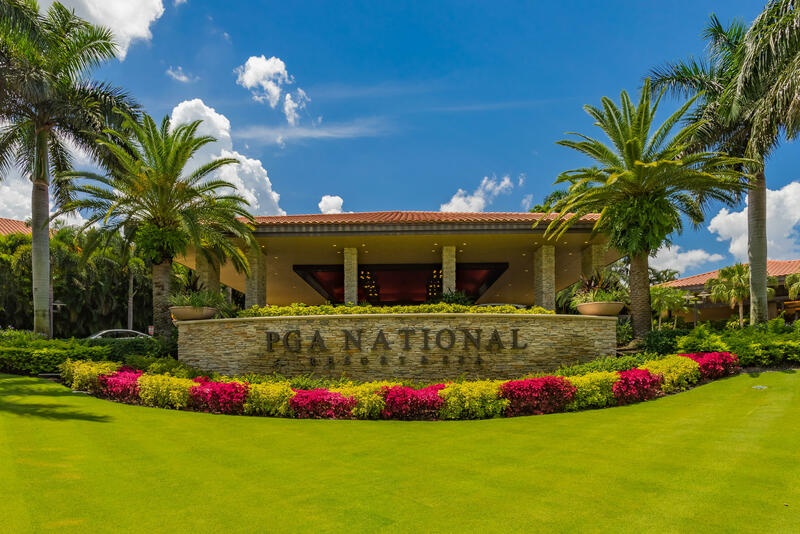 Beautifully updated, bright & spacious, 3BR/3BA + den, welcoming home with soaring ceilings and a very private pool & patio, located in the exclusive & scenic community of The Island in PGA National. This luxurious home has great utilization of space, a split airy floorplan, tray ceilings with crown molding, massive windows & glass-paned French doors with clerestory windows above, tile flooring, and an open-concept gourmet kitchen with 42 cabinets, granite countertops, GE & Jena-Air appliances, and a large island with a breakfast bar. 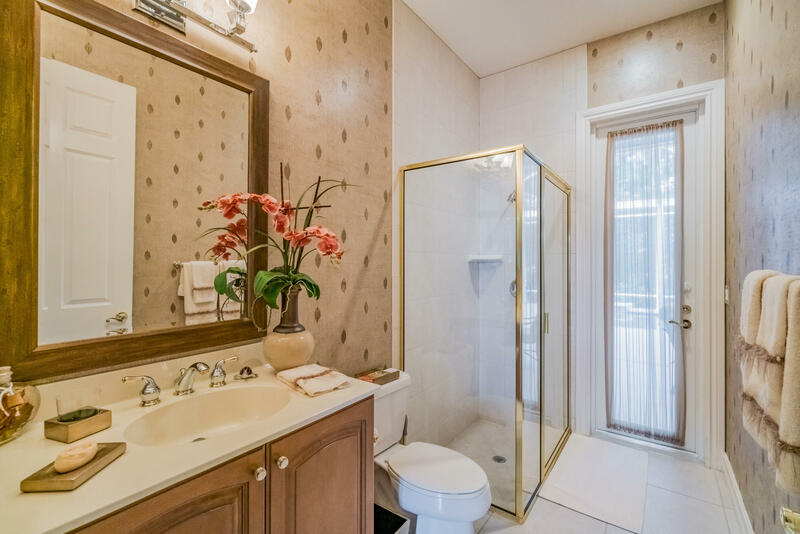 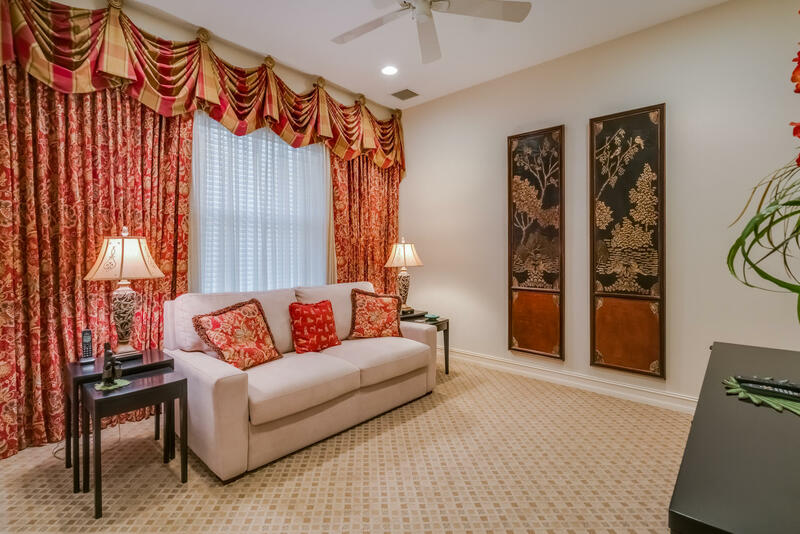 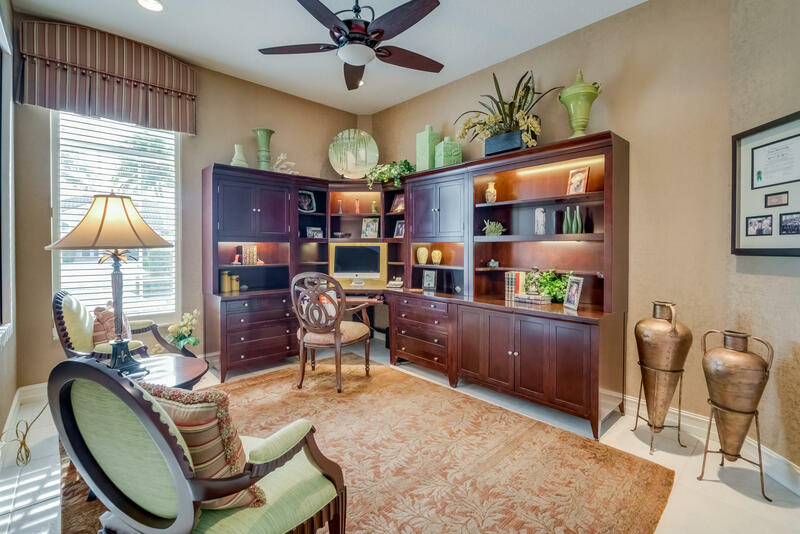 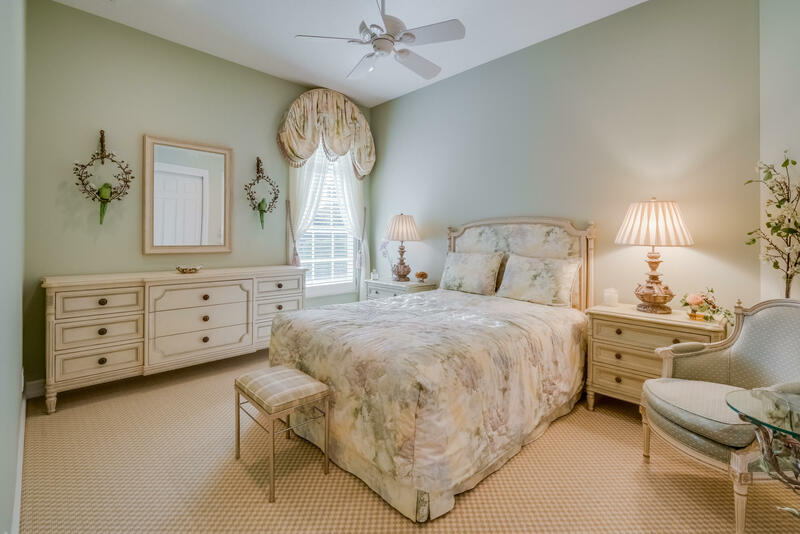 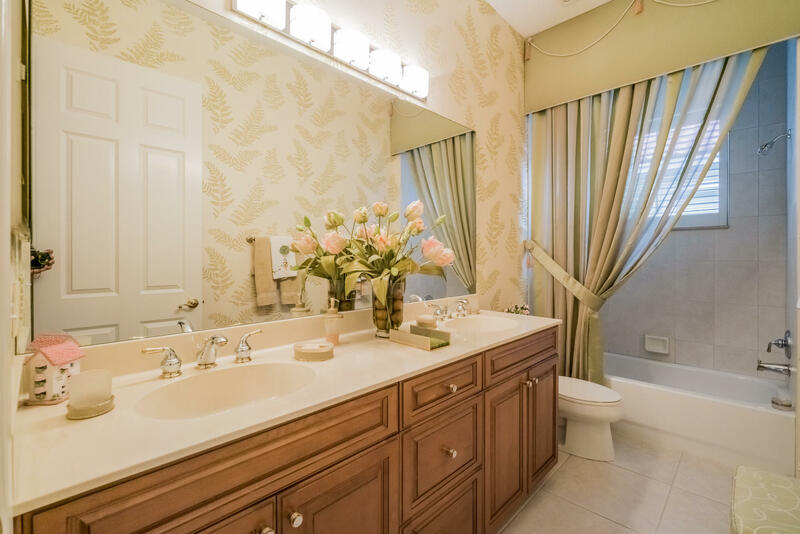 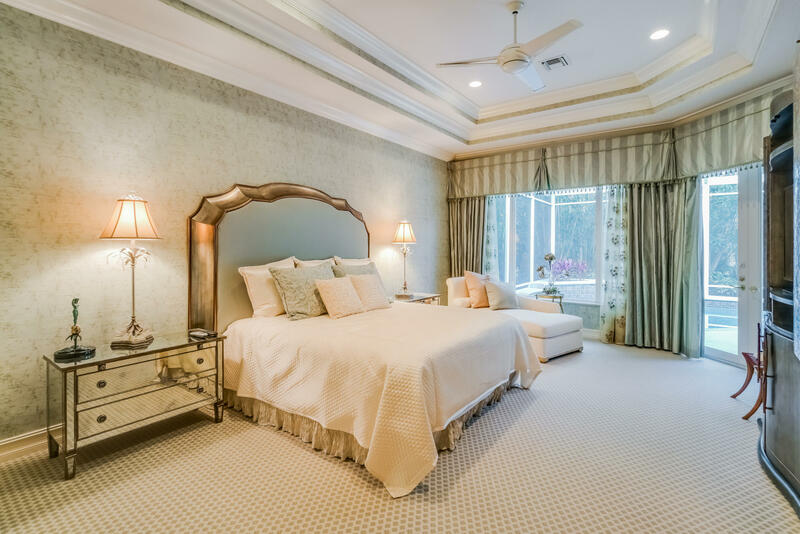 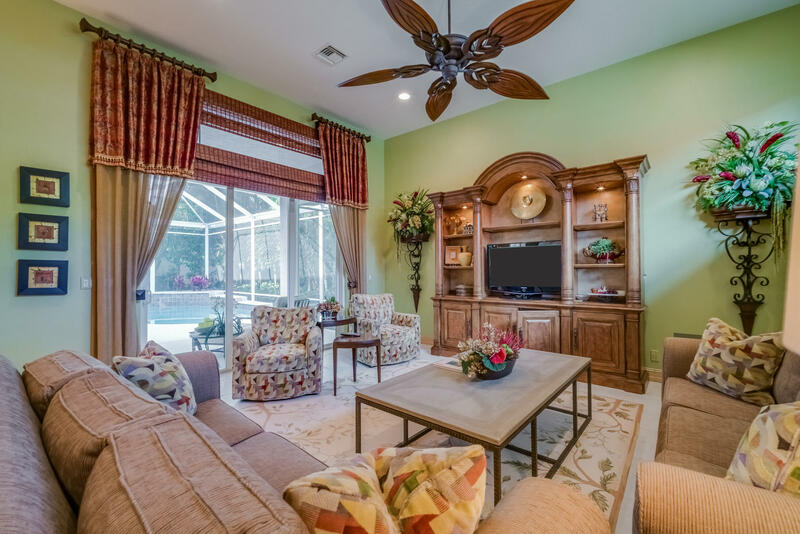 The oversized master suite has His & Hers walk-in closets and French door access to the screened-in patio & pool.